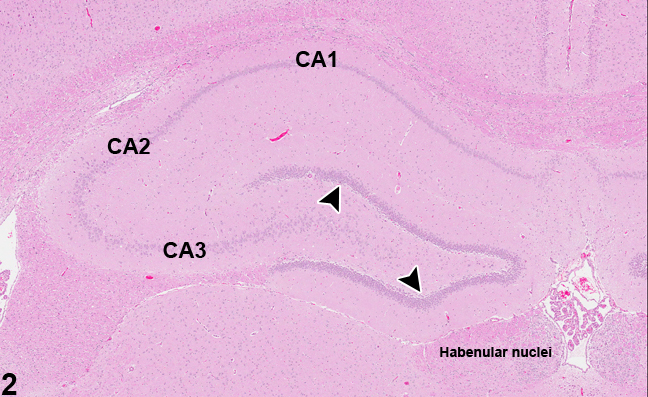 Incidental hippocampal dysplasia in a female F344/N rat from a 2-year study. 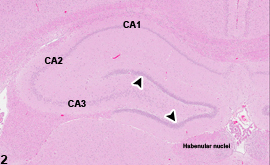 Note the abnormal undulation of the CA1 region (arrows) and the distortion of the dentate gyrus (arrowhead) compared with that in Figure 2. 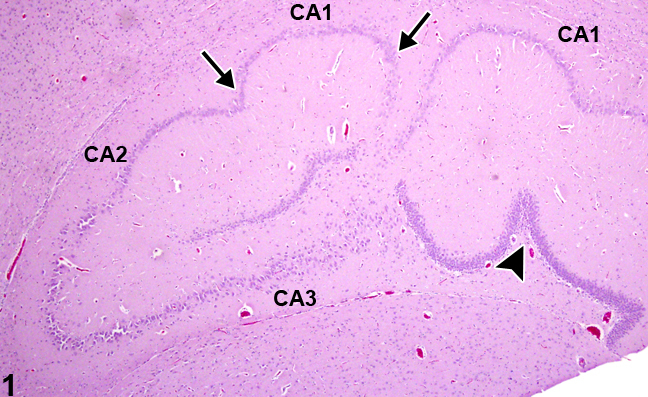 Normal hippocampus in a rat. 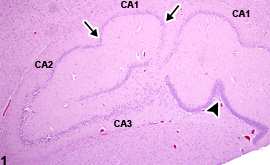 Dentate gyrus is indicated by the arrowheads. Image provided courtesy Dr. D. Rao.